When I leave from the house, whether I do an hour ride or a 3 hour ride, I always have this annoying, horribly rough, 1 1/2 mile road that leads up to my house. This road shakes my bike and my body to pieces every time. 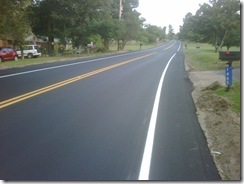 Well, today they re-paved that road and it is no longer the worst part of my ride. Now, when I turn onto Pine Street, I won’t cringe at the thought of climbing that little hill. And that got me to thinking. It’s the little things sometimes that mean the most. It’s a tiny paved road or the correct height on the seat or having a friend ride with you that you haven’t seen in awhile. Next time you’re having a rough ride just take a minute and enjoy some of the little things that have happened along the way. As for the spiritual aspect of this devotion, I’ll let you decide how that affects your relationship with Christ. Leave a comment if you think of something good. I’d love for others to see it. This entry was posted in Cycling, Devotions, Relevant Faith. Bookmark the permalink. In Kenosha, on our triathlon route, there is a similiar SECTION of road that was paved 5 days before the tri. In heaven, the streets are paved with gold, “heaven on earth” is a road simply paved in asphalt! There was great rejoicing in our group of women (20 some) when that section was paved! 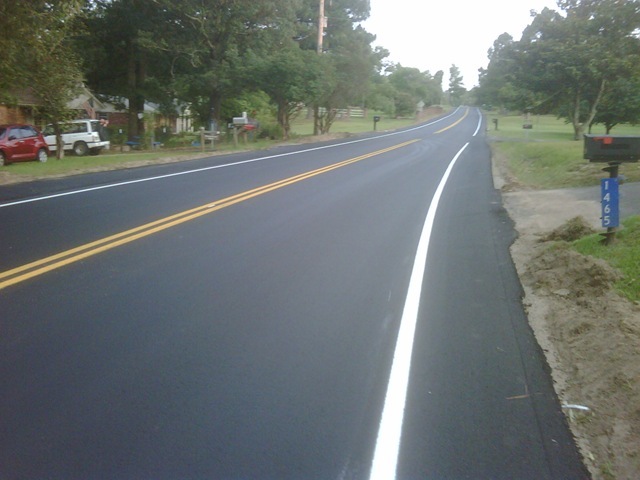 We know the bliss you experienced upon seeing that wonderful, SMOOTH, repaved road! Simple pleasures! I send a picture of our road…but this only always comments! Thanks Sharon for the comment. Keep riding.